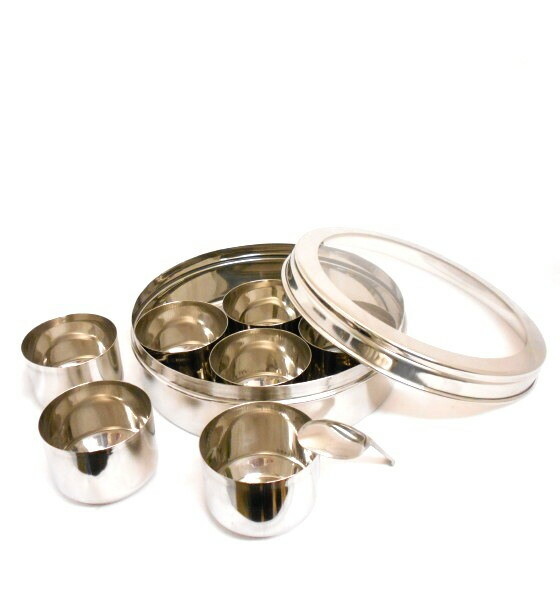 Indian Spice Box | Masala Dabba Tin | Buy Online at The Asian Cookshop. Indian Masala Dabba's are also known simply as an 'Indian Spice Box'. They are available in a great range of sizes to suit all needs. The Masala Dabba, Indian Spice Tin Box is one large stainless steel outer pot with 7 small inner pots inside to store your different spices. Large clear lid to close over outer pot to seal. An Indian Spice Box is used to store spices. Most Indian households will have at least one in use storing the most commonly used spices so everything is to hand in one tin instead of opening up 7 different pots/packets. Bought 2 of these at Christmas for sister and daughter. Well made good quality stainless steel. I bought them filled with the spices as a gift set. THEY WERE BOTH HIGHLY DELIGHTED! I have passed your site details onto them so they can stock up as necessary when they run out. I am back again now to buy one for ME!!!!!! real good quality masala dabba spice tin, was let down by quality on another online shop. I love it and will be back for more at christmas as they will make a great gift! Bought my masala daaba spice box at christmas. All my family and friends want one now. 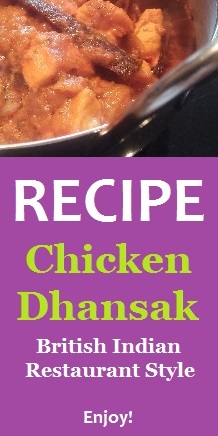 Saw it on an Indian cooking show really useful present. Cannot recommend it high enough.